Welcome to Center for Fundamental Studies in NISER. As part of the activities of CFS, Training Programme in Mathematics – TPM – 2016 is being organised during summer, 2016 in NISER. The main objective of TPM is to promote independent learning among students. It aims to provide solid foundation towards – mastering the “art of doing mathematics” on their own – by a group of mathematicians drawn from the leading institutes of India, who have a p enchant and commitment for teaching mathematics. Besides, this programme identifies young and talented students and motivates them to pursue Mathematics for their career. The programme will b e at three levels: Level 1, Level 2 and Level 3. The subject matter at all levels will b e courses that normally form basic and core of the curriculum of the respective degrees offered in universities/national institutes of India. This may for instance, include Linear algebra, algebra, Analysis and Geometry and so on. This apart, there will b e seminars by the students. 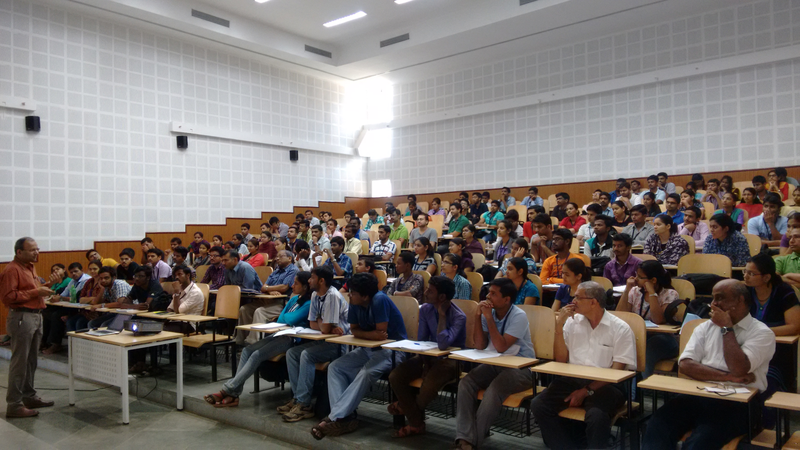 It is also planned to have special invited lectures by eminent senior mathematicians on current topics to inspire the students. Students who are studying in any of the colleges, universities or national institutes of India with mathematics as one of their sub jects, can apply for Levels 1, 2, 3 depending on the current year of studying, as given below. Level 1. —- 2nd year of M.Sc (Integrated) or 2nd year of B.Sc. Level 2. —- 3rd year of M.Sc (Integrated) or 3rd year of B.Sc. The complete details of “how to apply online will be made available on the website. The online applying process will begin from February 9, 2016 onwards. The last date for applying is March 6, 2016. The selection will be purely on merit, based on consistently good academic performance and the recommendation to be obtained by the candidate from his teachers of Mathematics who are closely acquainted with the candidate. Only selected candidates will b e informed of their selection by an email message tentatively in the 3rd week of March, 2016. The list of selected students will also b e posted on the Website of CFS. Sponsored Support: Selected candidates will be paid second class sleeper return train fare/ normal bus fare by the shortest route. They will be provided free boarding and lodging for the entire duration of the programme. The study material pertaining to the courses may also be provided. Internet facility will be made available. At/PO- Jatni, Khurda Road, Khurda Dt. © 2015-16 National Institute of Science Education and Research Bhubaneswar, All Rights Reserved.